Went to the craft show on Sunday here in Brisbane – great day to go on Sunday because there aren’t as many people so you could wander around the stalls without having to battle the crowds. I managed to purchase a few items that I am planning to use in my challenge quilt. When I say ‘a few items’ what I actually mean is that I now have enough for a dozen challenge quilts – and when it comes to the building of it I’ll probably use very little. Oh well more in the stash. Don’t forget the challenge quilt is due in by 30th November and the theme is ‘Holiday’. As usual there was a lot of inspiration at the show. We chatted with Loani Prior – the guru of tea cosy makers. She is such a friendly person and I told her how much I had enjoyed the photographic exhibition ‘Portrait of a Tea Cosy’ that I saw at Warwick Art Gallery in July for the ‘Jumpers and Jazz’ Festival. If you missed it have a look here. She certainly is inspirational – and her inspiration has extended to Apatchy – here’s a photo of our Chris with Loani at the show last Wednesday. Chris is no slouch at making tea cosies herself and has produced several beauties – you can see a couple in ‘Your Gallery’. 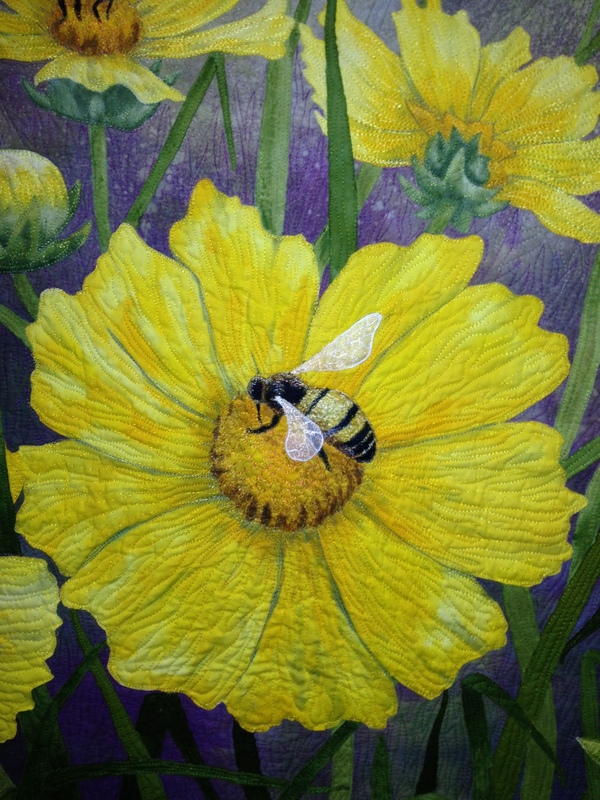 You can see that I am following a theme here with many of the pictorial quilts. 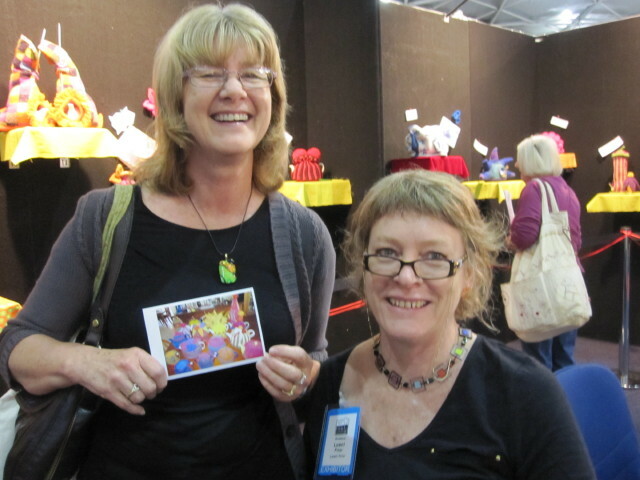 Actually I was very pleased to meet Barry Deans – the winner of the Apatchy Quilting prize at the Quilt Show – and have an interesting discussion about art and quilts. 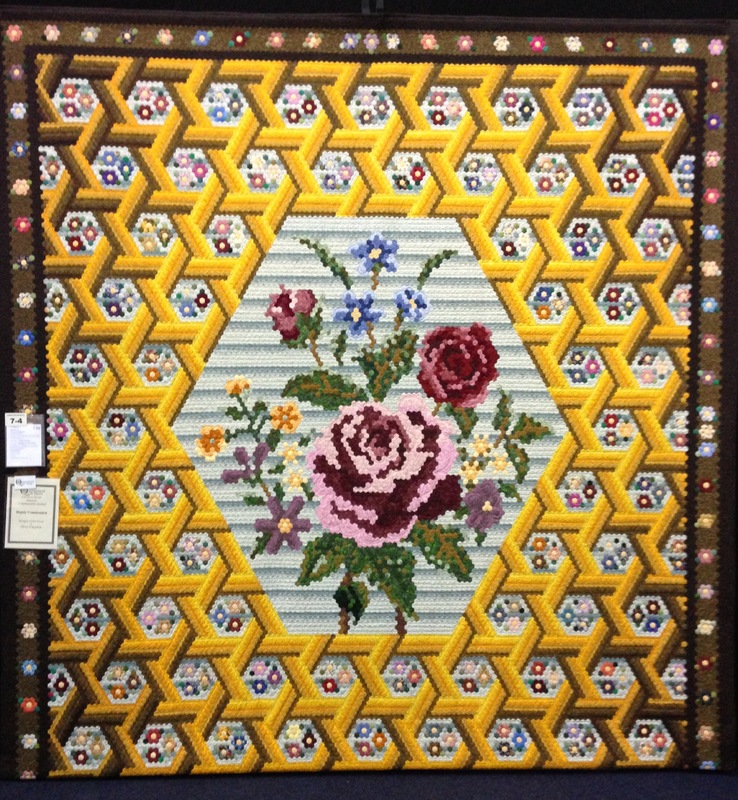 He raised the question of whether the quilts should be judged on technical merit and then artistic or the other way around – what do you think? He lives on the Gold Coast and it is his first time entering so he has certainly set the bar high. Here is his winning piece (you can tell he is an artist – just look at that perspective). 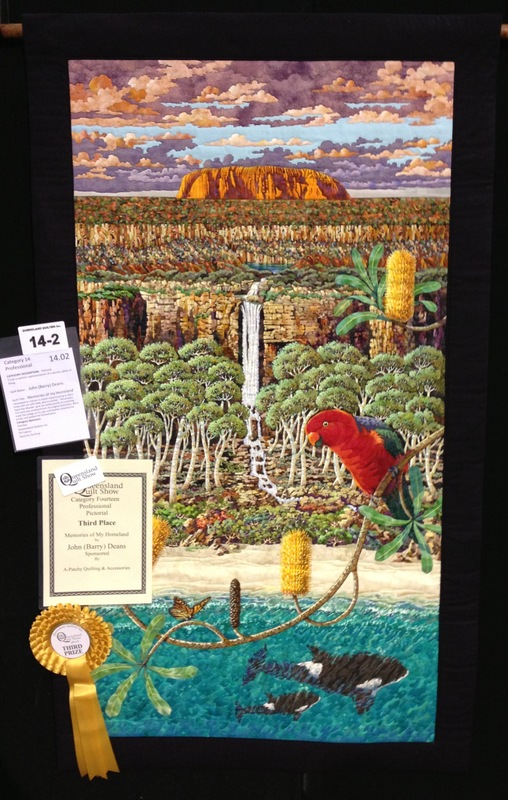 At the same time the quilt show was on another show was on a little further along the building – the ‘Man Expo’ – featuring all things ‘blokey’ – beer-topia, bbq demos, billiards tables and the Bundaberg Rum ‘Distillatorium’. Rumour had it that there were bikini-clad girls as well . 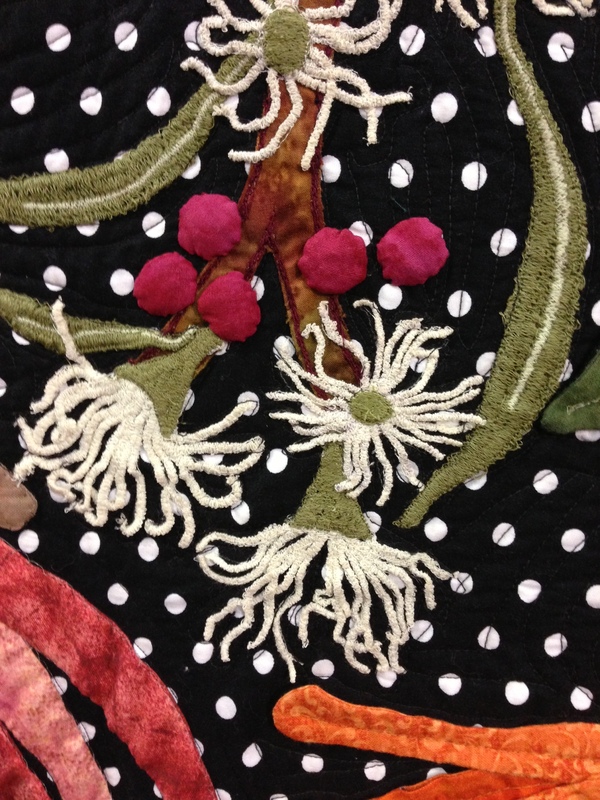 The menfolk in my family wandered along to it rather than come to the quilt show with me – can’t think why. 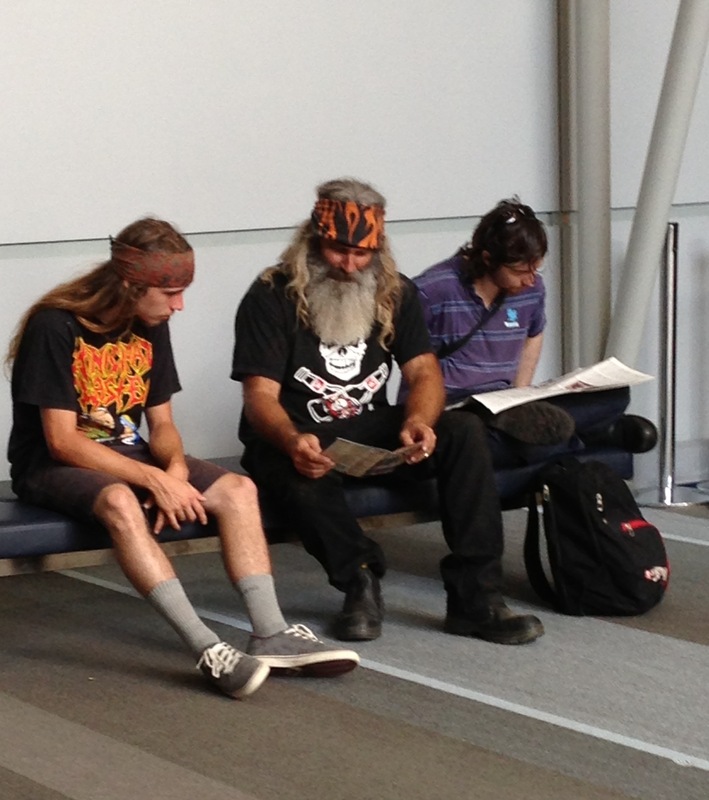 I saw this group of guys waiting directly outside the quilt show doors. I suspect they hadn’t just come from the quilt show either – or am I being too stereotyped in my thinking? 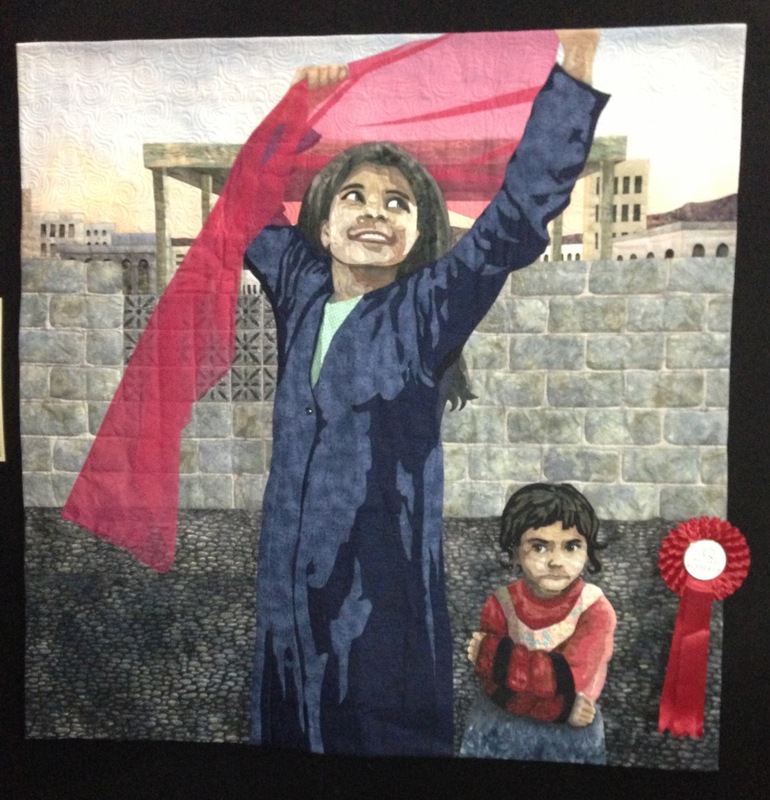 This entry was posted in Quilt shows and tagged Quilt show by Apatchy Kaye. Bookmark the permalink. 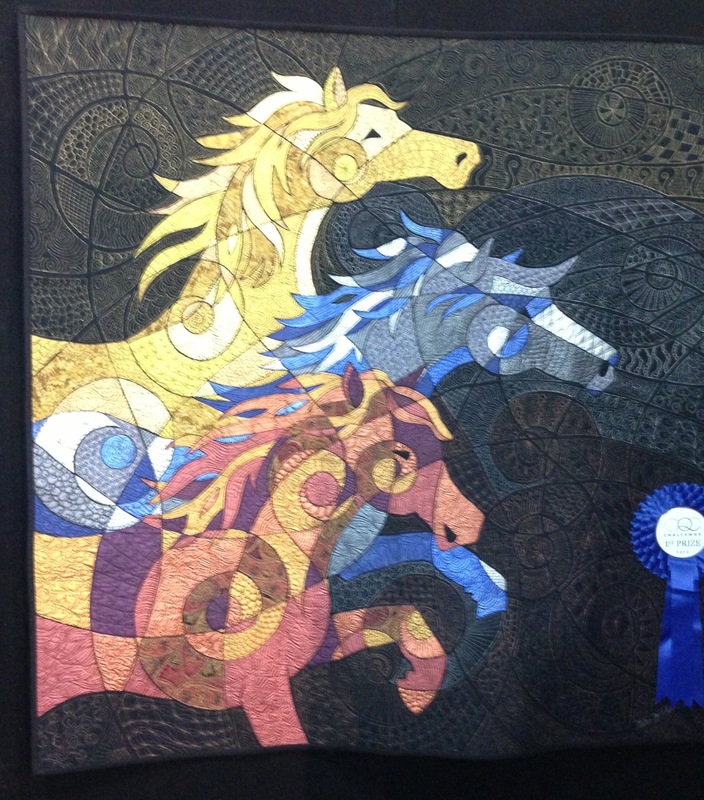 Barry’s quilt blew me away. 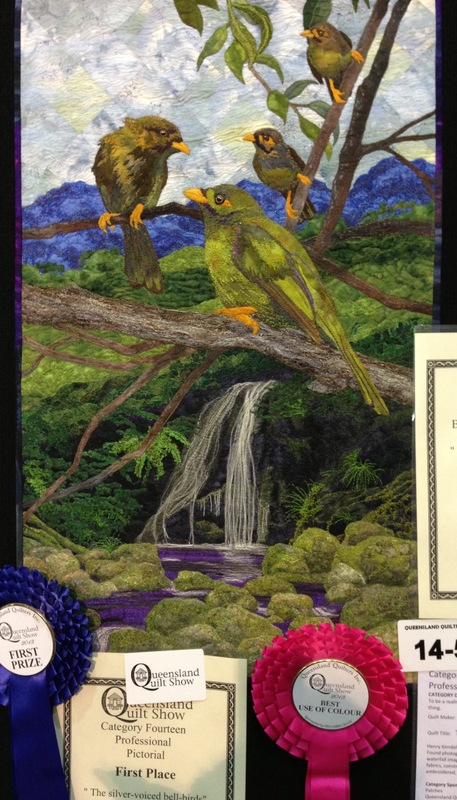 As you mentioned the perspective was awesome – I think pictorial quilts should be judged first on the overall impression, then on technical merit. When you see a painting by one of the great masters, you take it in first, and who bothers to check if the brush strokes are even. 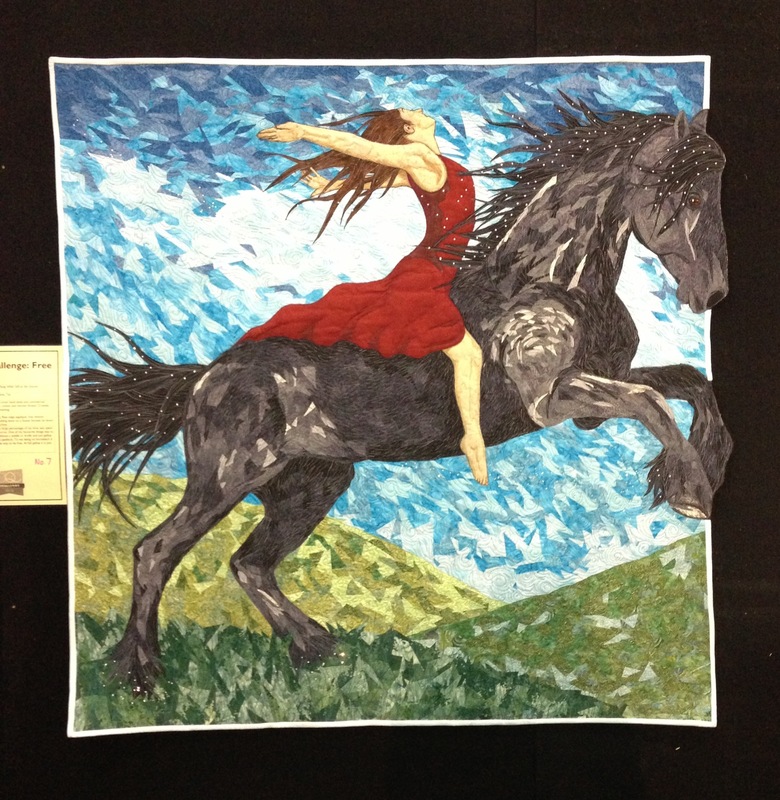 Definitely by overall impression for pictorial/art quilts. Boundaries are pushed with art work, so who is to say what is technically correct and what isn’t. I loved Barry’s quilt and the way it took you across this vast land from the ocean to the red centre.